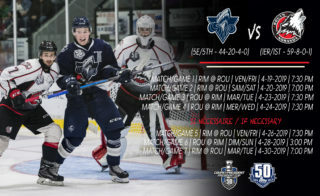 With this season marking its 50th anniversary, the Quebec Major Junior Hockey League will be celebrating the milestone in a number of ways. One of those initiatives will be the unveiling of an all-star team for each of the League’s past five decades. Each one of those teams will be comprised of 23 players and two coaches who impacted the history of the League in their own way, and were selected by a 22-person panel comprised of former players and general managers, journalists, statisticians and scouts. 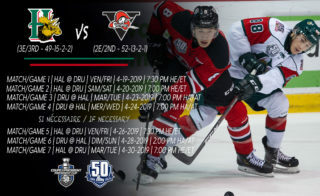 In the fifth and final segment we are proud to reveal the list of 25 individuals to have written their names into the rich history books of the QMJHL over the course of the 2010-2019 seasons. 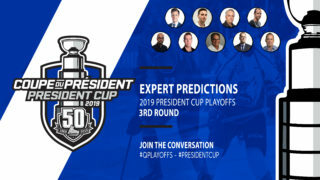 Eight of the 25 picks from this decade share a common trait, they were a part of the QMJHL’s three straight Memorial Cup crowns in 2011, 2012 and 2013. On offence, this group has names such as Nathan MacKinnon, Jonathan Drouin and Jonathan Huberdeau among it’s leaders. Drouin and MacKinnon were, of course, teammates with the Halifax Mooseheads and they joined forces to lead their club to Canadian junior hockey supremacy back in 2013. Drouin played three seasons with the Mooseheads, while MacKinnon played two. When you combine his regular season and playoff production, Drouin’s average of almost two points per game (1.93) is the highest average of any QMJHL forward from the 2010s. As for Huberdeau, he was the offensive leader of the Saint John Sea Dogs in 2010-11 when they won the Memorial Cup in Mississauga. Other forwards to have caught the selection committee’s eye are five Europeans: Nikolaj Ehlers, Vitalii Abramov, Mikhail Grigorenko, Nikita Kucherov and Sven Andrighetto. Kucherov left his mark on the League, despite having suited up for only 47 games, by posting 87 points in those contests. Rounding out this list of forwards is two-time QMJHL scoring champ Conor Garland of the Moncton Wildcats, Anthony Mantha – who in 2013-14 became the only player of this past decade to have scored 50 goals in under 50 games – Sean Couturier, Alex Barre-Boulet and Charles Hudon. On the blue line, Brandon Gormley and Nathan Beaulieu lead the group of seven defencemen selected by the committee and have also seen their names engraved on the Memorial Cup. Gormley did it with the Cataractes in 2012 and Beaulieu with the Sea Dogs in 2011. Samuel Girard also marked the decade with an average of over one point per game with the Shawinigan Cataractes. The diminutive d-man then made the jump to the NHL as a 19-year-old after thrilling QMJHL fans from 2014 to 2017. 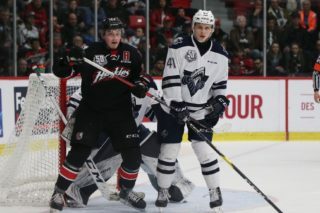 Thomas Chabot had a brilliant career of his own with the Saint John Sea Dogs with 198 points in 242 games (regular season and playoffs combined). Chabot was also named tournament MVP at the 2017 World Junior Hockey Championship, the very first blueliner in tournament history to have received the honor. The list of this decade’s rearguards also includes Nikolas Brouillard, Xavier Ouellet and Jerome Gauthier-Leduc. Between the pipes, Zach Fucale was impossible to ignore. 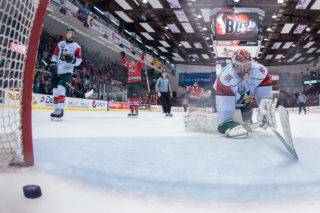 The former Mooseheads and Remparts netminder won everything imaginable in Junior (2013 Memorial Cup as a 17-year-old and World Juniors gold in 2015 as a 19-year-old). He is also the League’s all-time leader for combined regular season and playoff victories with 183. Philippe Cadorette also sparkled in his own right over his five QMJHL campaigns with 174 wins in 290 games to go along with 22 career shutouts. The trio of goalies from this decade is capped off by Etienne Marcoux. Last but not least are the two coaches who led the way over the past decade: Memorial Cup winners Gerard Gallant (2011) and Dominique Ducharme (2013). 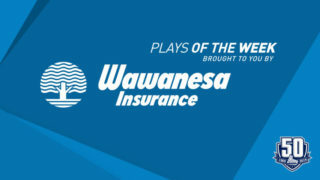 Gallant can brag about being the only coach in league history with three 50-win seasons (52, 57 and 50 victories with the Sea Dogs from 2009 to 2012). He was also the fastest to reach the 100-win mark, doing so in only 123 games. As for Ducharme, he won the Memorial Cup in 2013 and World Juniors gold in 2018. In Canadian junior hockey history, only three other coaches managed those two feats: Terry Simpson, Don Hay and Brent Sutter.